Peter Jackson is known for making long movies. It's just a thing he does. 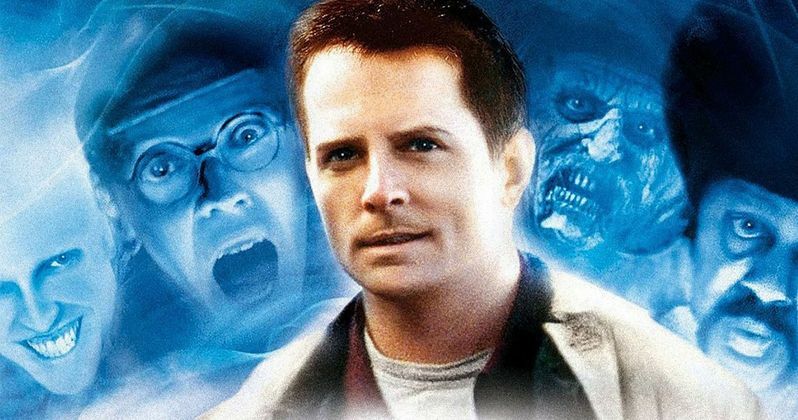 As it turns out, one of his early movies, The Frighteners, which originally clocked in at a very reasonable 110 minutes, actually has a five-hour cut, according to star Jake Busey. Mind you, this isn't some rough assembly cut, this is actually a cut Jackson was happy with. Here's what Busey had to say about it. "Yeah, there's a s*** load of material you haven't seen. I think you need to petition and lobby Peter Jackson for an original director's cut. You want to ask him to release the five-hour director's cut. It should be a miniseries broken up into three films." It's not uncommon for rough assembly cuts of movies to run four or five hours in length. However, Jake Busey assures that this was an actual cut. "I think his first on it was seven or eight hours," Busey said. So, what would this extra-long cut of 1996's The Frighteners include? Here's what the actor had to offer on that front. "There was so much material, but see they may have cut it before they did the post. They may not have done all the animating and all that so it might not even be available but they filmed so much material on John Astin and his judge with the dog and the old west. He had this whole thing in the courtroom. He had a whole segment in his house and in the old west town. The movie goes back in time to the old west when he was really a judge and alive. There's so much more with the ghosts, with Chi McBride. It was just way too much movie to try to cram into two hours. John Astin shot like a month's worth of stuff that didn't even make it into the film just because of time. It just got to be such a long-running thing, so they had to cut it down. You should definitely ask Peter for the five-hour director's cut." In case you aren't familiar or just need a refresher, in The Frighteners Frank Bannister (Michael J. Fox), once an architect, now passes himself off as an exorcist of evil spirits. To bolster his facade, he claims his "special" gift is the result of a car accident that killed his wife. But what he does not count on is more people dying in the small town where he lives. As he tries to piece together the supernatural mystery of these killings, he falls in love with the wife (Trini Alvarado) of one of the victims and deals with a crazy FBI agent (Jeffrey Combs). Depending on exactly what shape the material is in and what kind of story there is to be told, there could very well be a market for something like this. Perhaps, if the footage is close enough to finished, they could do some sort of director's cut Blu-ray? Or, as Busey suggests, maybe even release it as a miniseries somewhere? This also isn't about Busey getting more screen time as he also says, "They pretty much used all of my stuff to the best of my knowledge." This is just about him thinking that five-hour cut Peter Jackson initially put together warrants being seen. Odds of this actually happening? Probably not great, but it's pretty interesting to know such a thing even exists, or at least existed, at one time or another. These quotes were obtained by Bloody Disgusting.